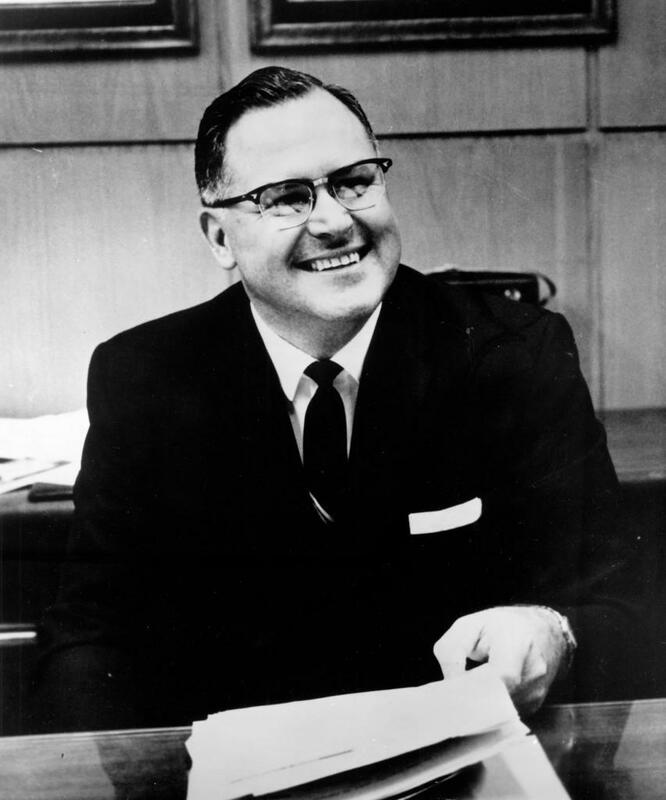 A World War II pilot, Bob Howsam was the architect of the Big Red Machine and a key figure in starting the American Football League. 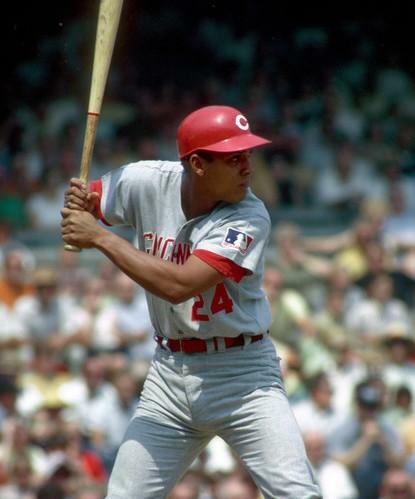 Architect of Cincinnati’s Big Red Machine, Bob Howsam remains a popular Hall of Fame candidate with the Veterans Committee. 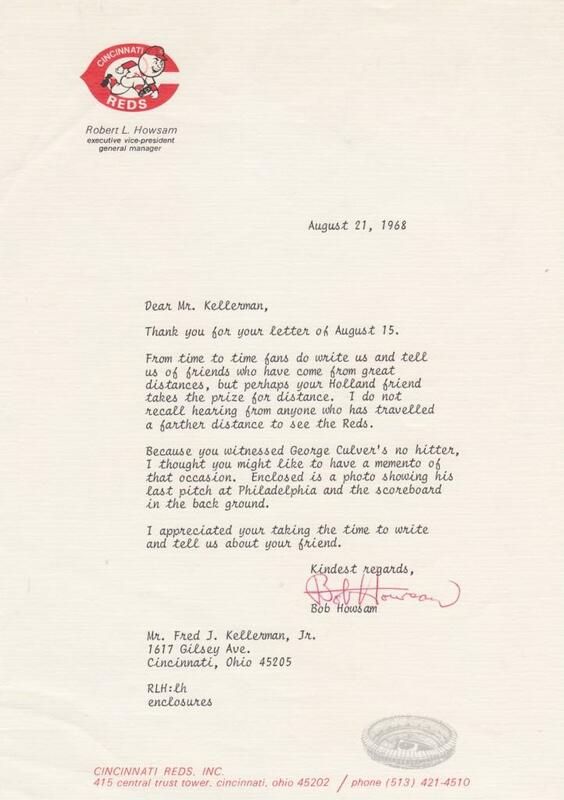 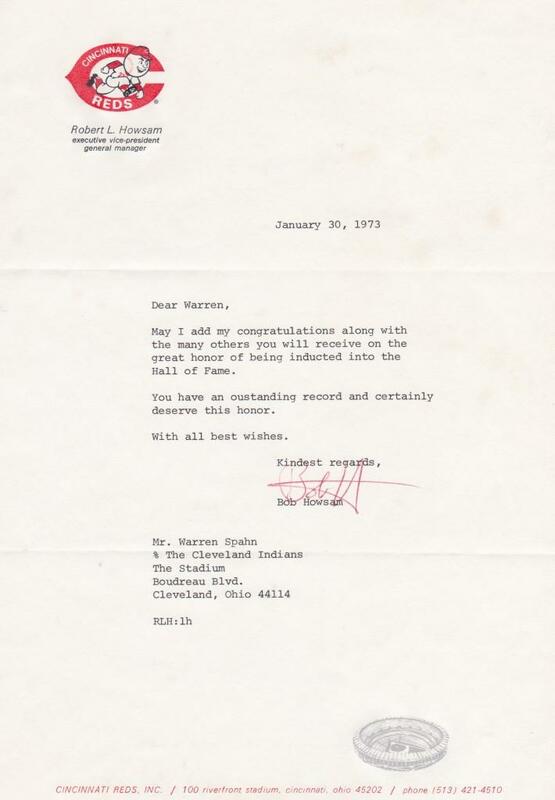 Here is a typed signed letter dated August 21, 1968 on Reds letterhead. 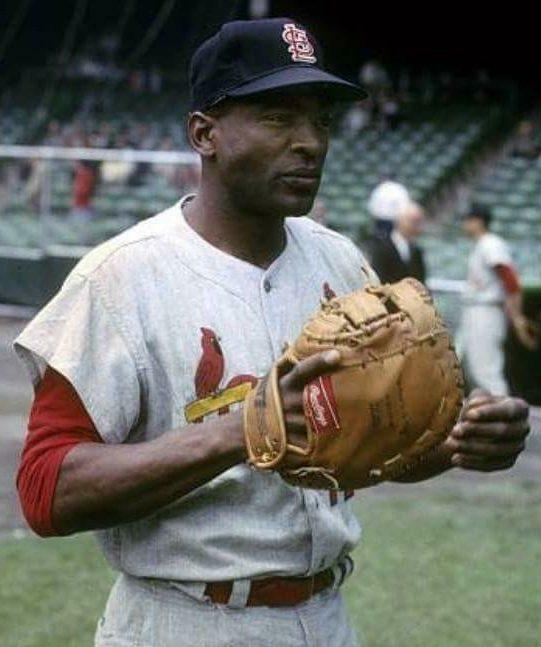 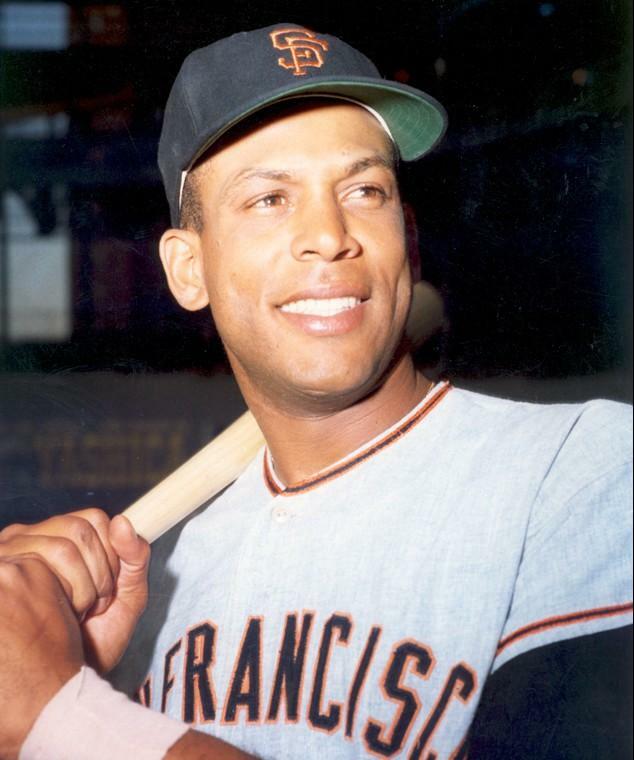 Howsam started as general manager of the St. Louis Cardinals, winning a World Championship in 1964. 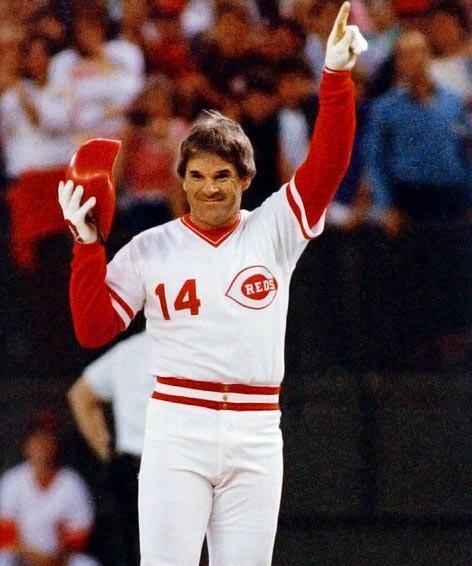 Three years later he began a successful 11-year run with Cincinnati. 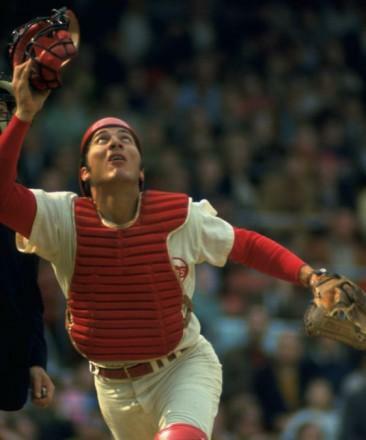 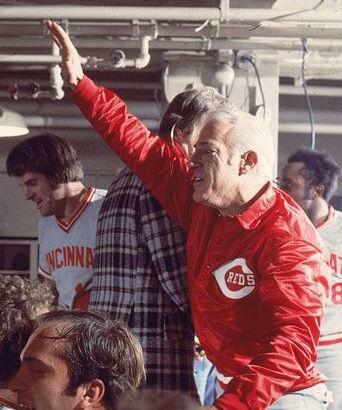 with Howsam assembling the team, the Reds marched to four National League pennants and back-to-back World Championships in 1975 and 1976 under Sparky Anderson.